About 25% of US cropland is drained, and it’s some of the most productive land in the world. 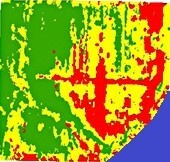 But in any given year, such land is still at risk to both water excess and water deficit. Limited crop productivity and water quality concerns are among the consequences. Future climate change is expected to bring more intense rainfall and prolonged summer droughts, making problems worse. 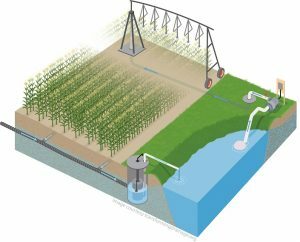 Storing drained water within the landscape, through practices such as controlled drainage, saturated buffers, and drainage water recycling, could increase the sustainability of water for agriculture, producing positive impacts for crop production as well as the environment. Saturated buffers also store water within the soil profile, similar to controlled drainage, except at the edge of the field where that water can interact with the root zone of perennial buffer vegetation. 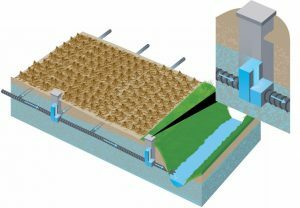 Drainage water recycling captures drained water for the field in an on-farm water storage (e.g. pond) where it can be used later for irrigation. 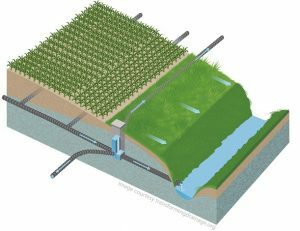 • Drainage system engineers and designers consider storage of water in the landscape for each design. 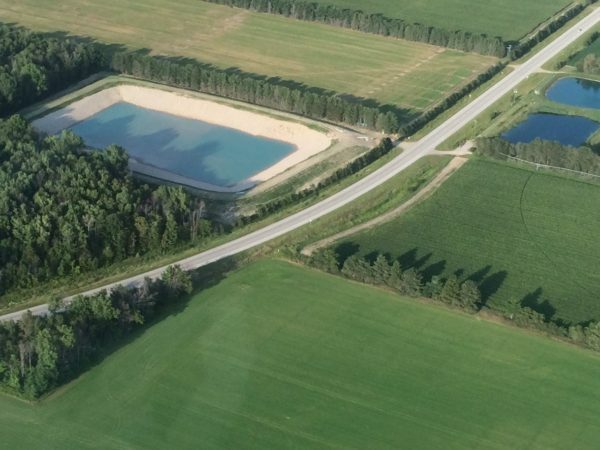 • On-farm ponds able to capture drainage water and provide supplemental irrigation (aka drainage water recycling) will be found throughout the drained landscape. Transforming Drainage is a collaborative field research and synthesis effort that brings together historic and current agronomic, hydrologic, and climate data from across the Corn Belt. 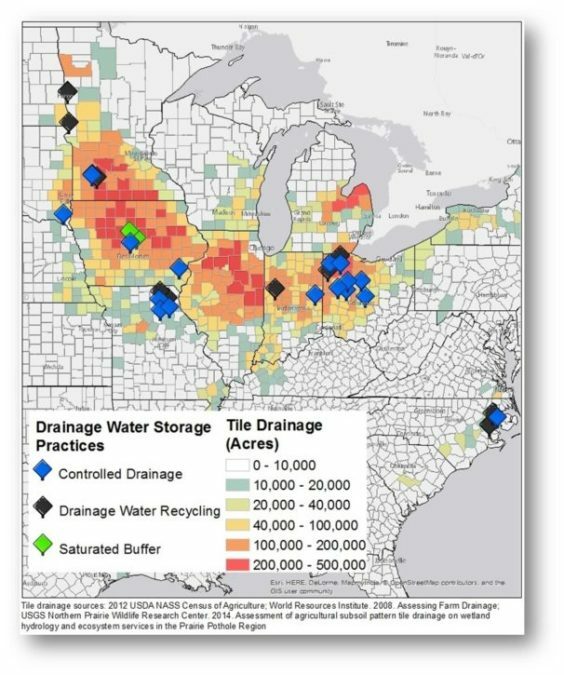 This multi-state database will provide the foundation for new decision support tools to guide the implementation of drainage water storage practices. It also will fuel Extension and educational efforts that will bring about greater awareness and understanding among drainage professionals, agricultural engineers, and producers of agricultural water sustainability. Field Research provides data to determine the benefits of storing drainage water. Data from 16 active field sites and 18 historic sites are being aggregated into a regional database. Synthesis and modeling will extend the research spatially across the region, and allow us to predict impact of drianage water storage under future climate conditions. 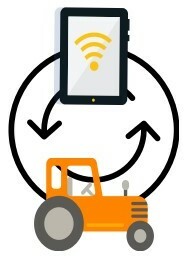 Decision Tools will translate research into practice by supporting decision-making on the farm, in watersheds, and in state and national policy. Learn more about The Team and Collaborators. 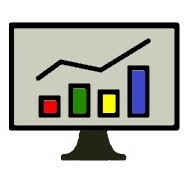 Learn more about the Advisory Committee.